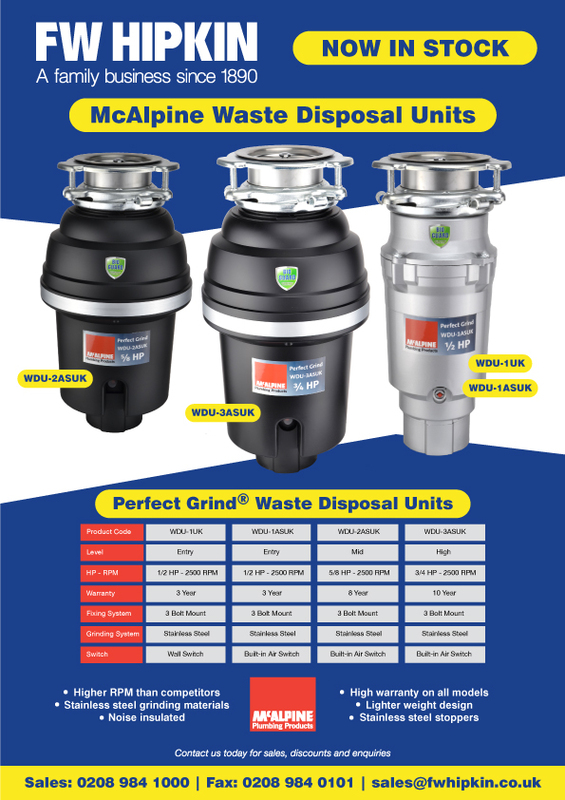 We now stock the full range of McAlpine Perfect Grind® Waste Disposal Units. Unrivalled against competitor products, with a higher RPM, long warranty and stainless steel grinding system. The new McAlpine Waste Disposal Units also come noise insulated with a light weight design. Quality product from a trusted brand, now at FW Hipkin. Please contact our sales team or your rep for pricing, quantity discounts and to be added to our email list to receive new products and pricing straight to your inbox.